Life in the 1950s was all about embracing the future -- or at least preparing for it, with equal parts excitement and terror. Americans were adapting to life in the not-yet-defined postwar military-industrial complex: jets soaring overhead, the threat of nuclear destruction casually looming, and of course, the advent of rock & roll and the arrival of a pelvis-thrusting Elvis. 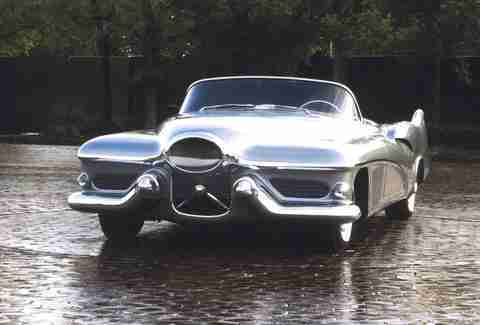 All of that came through in the decade's wildly futuristic concept cars. These are just a few of the coolest. Will There Be Flying Cars In Our Lifetime? 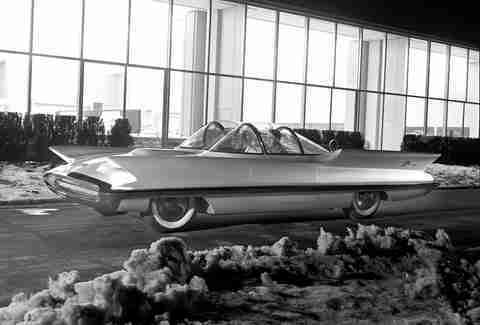 Did the Futura predict the future of the American automobile? Not exactly. 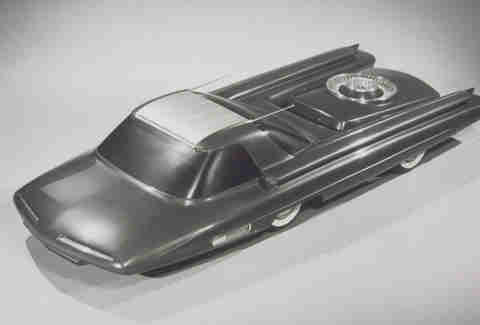 But over a decade after it made its debut, legendary Hollywood car builder Chuck Barris transformed this exact car (there was only one, after all) into something called a "Batmobile" for a certain 1960s TV show based on a comic book. 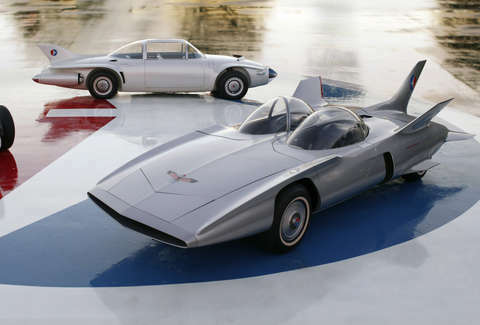 The second of four turbine-powered concepts nicknamed Firebirds, Firebird II was designed as a four-seat family car complete with semi-self-driving characteristics. Along a stretch of road with wires embedded in the pavement, it could theoretically follow pre-ordained routes just fine. 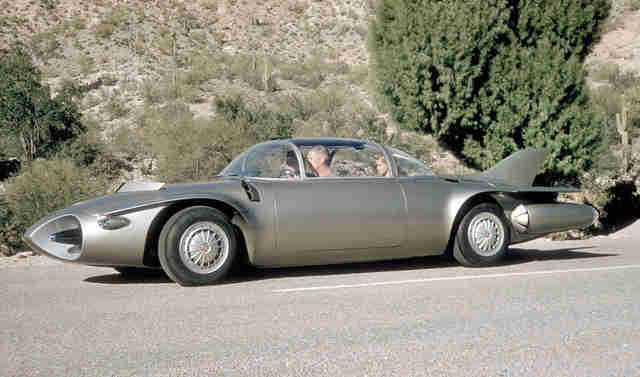 Designer Alex Tremulis counts among his many creations the Tucker 48, as well as the flying saucer (really -- he drew flying saucers and aliens during WWII, for the government). His stylings tended to straddle the fine line between genius and insane, and perhaps no car does that better than the X-2000. It was supposed to show what cars would look like in the year 2000. It um… failed. Sixty years later, though, it’s one of just a handful of truly iconic concepts that represent the extremes of the jet-era car designs. 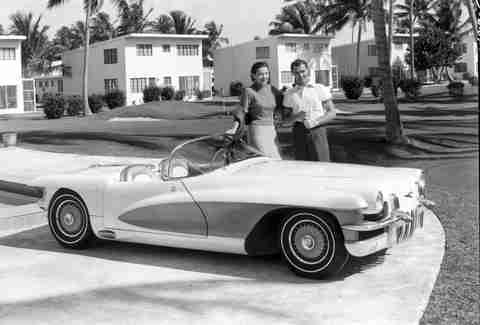 Ever wonder what an early Corvette would've looked like with Cadillac styling? This is your answer. 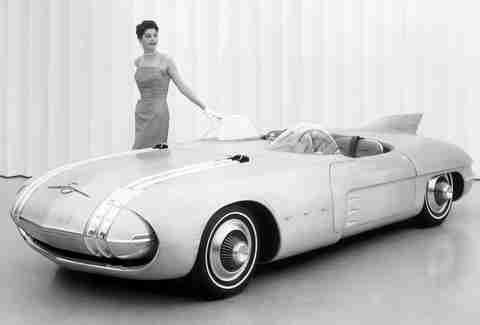 Designed by Harley Earl (who fathered the Corvette, among many, many others), the Le Sabre concept looks quintessentially '50s -- from the jet-inspired snout, curved windshield, and tail fins in back, to the Dagmars on the bumper that were actually named after an actress's cleavage, there's no questioning what decade it's from. But the tech behind it was state of the art: heated seats kept the driver warm and a sensor inside the car would automatically raise the roof if it suddenly started to rain. 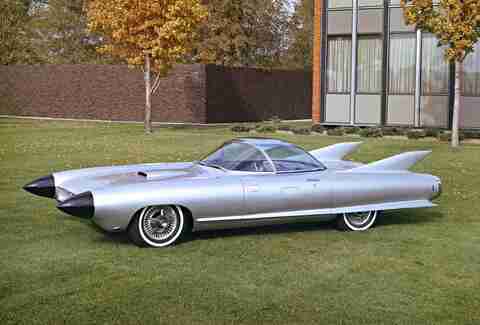 Another one of Harley Earl's projects, the Cyclone took jet-age design to a far more literal level than most other concepts. Those cones up front aren't Dagmars -- kinda like the nose cone of a fighter jet, they actually hide small radar units used in a sort of primitive crash-detection system. Why, yes, everybody in the future will be driving nuclear-powered cars. Or... maybe not. 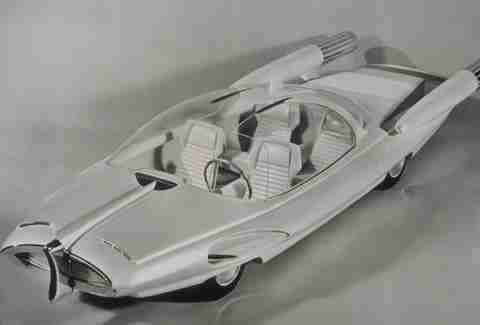 The Nucleon was more of an exercise than anything with serious intent -- Ford's idea was to show what vehicles might look like once nuclear reactors were small enough for personal use. 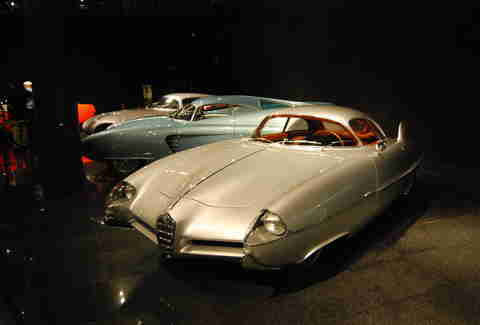 The Alfa Romeo BAT program (Berlinetta Aerodynamica Technica) was an attempt to develop the shape of a car to have the least amount of aerodynamic drag possible. Three cars were produced over three years (BAT 5, 7, and 9), with the BAT 9 being the ultimate melding of form and function. 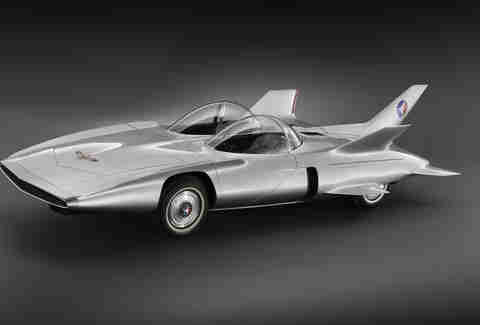 As with the Firebird II, the titanium-skinned Firebird III was a turbine-powered homage to futurism. The two seater's extreme shape was formed only after a ton of testing in a wind tunnel, so each of those seven (!) wings is actually functional. The Club de Mer was more of a celebration of style than a technical tour de force. It featured one of GM's newest and most powerful engines, and coupled with an extremely low height -- at 39in tall, it's lower than a Ford GT40 -- it paid homage to the best and most successful land speed record cars of the day. Aaron Miller is the Cars editor for Thrillist, and can be found on Twitter. He wishes GM didn't have a policy of destroying its concept cars back in the day, and would love to have seen a Batmobile based on the Club de Mer.